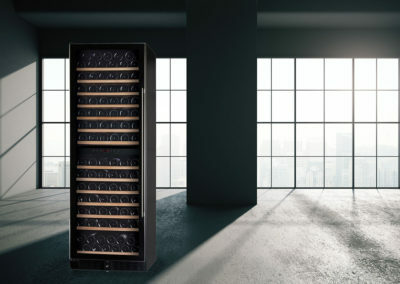 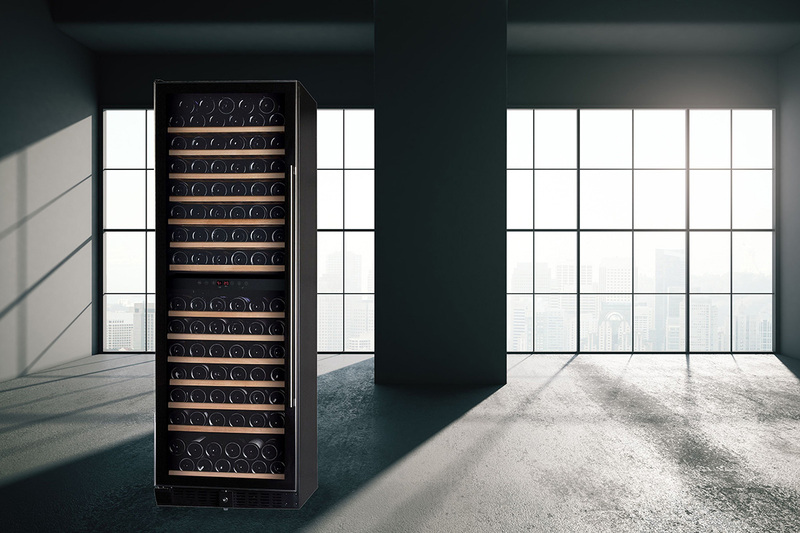 Whether you have one bottle, or a thousand, your wine needs to be kept in premium condition by being stored in the right environment. 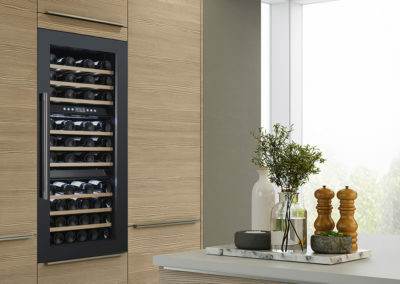 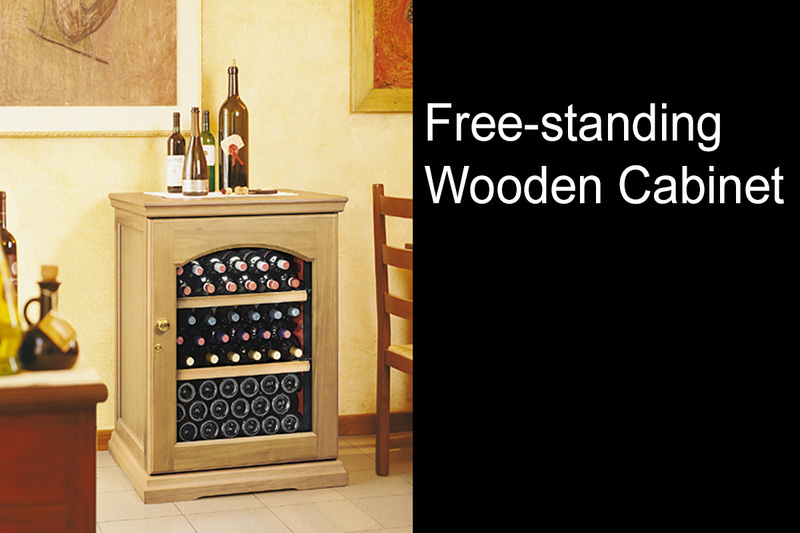 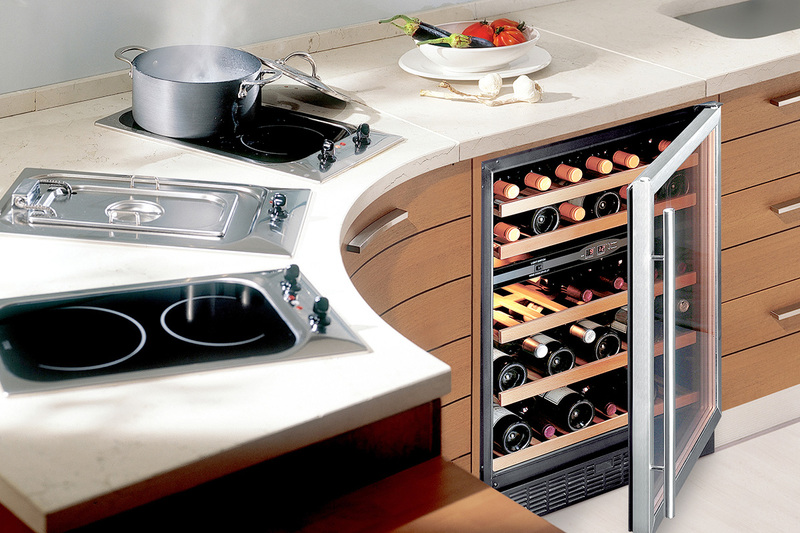 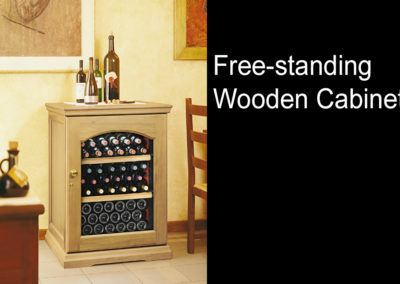 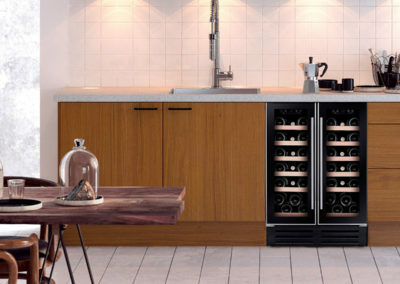 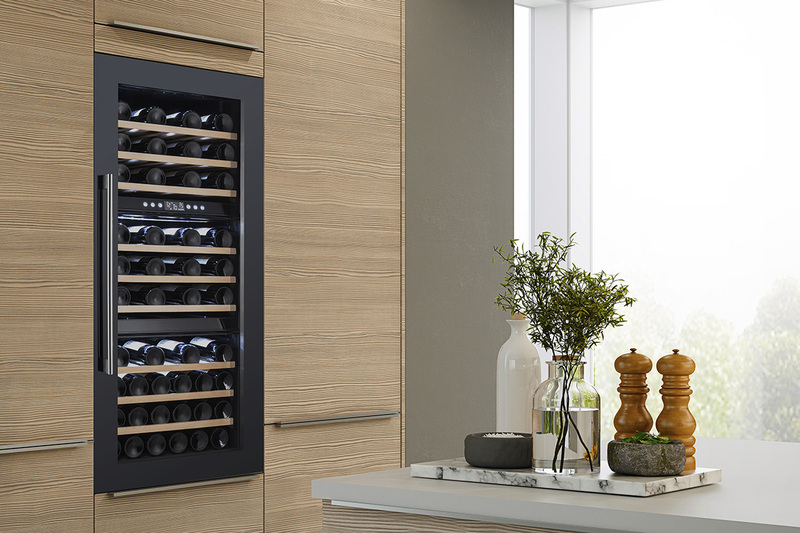 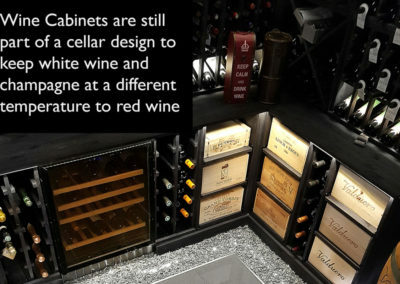 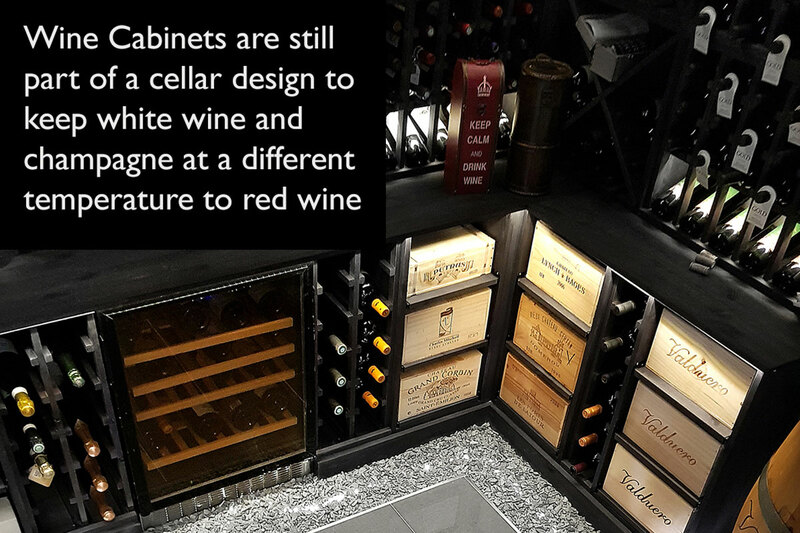 Fortunately, at Wine Corner, you can select from a wide range of cabinets in various sizes and finishes, for the home, the collector and for commercial establishments. 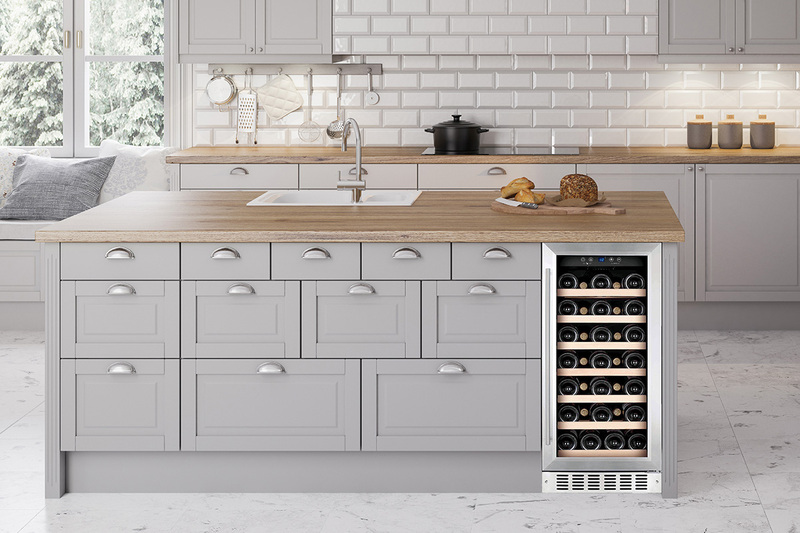 The smallest integrated cabinet is just 145mm wide and will store 8 bottles in your kitchen, compared with our largest single cabinet that will store over 300 bottles. 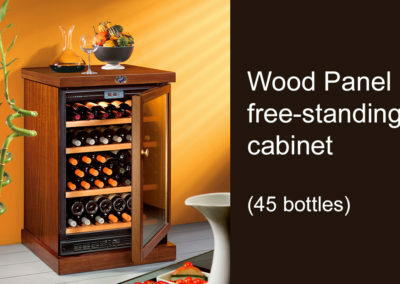 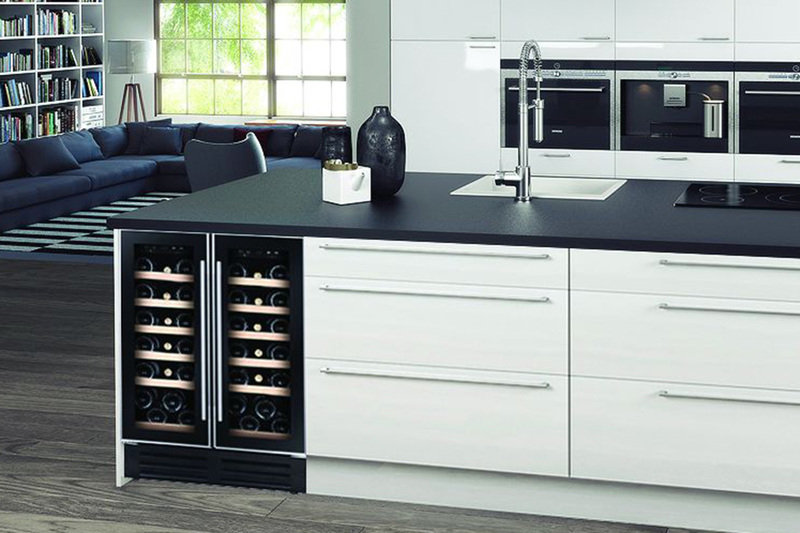 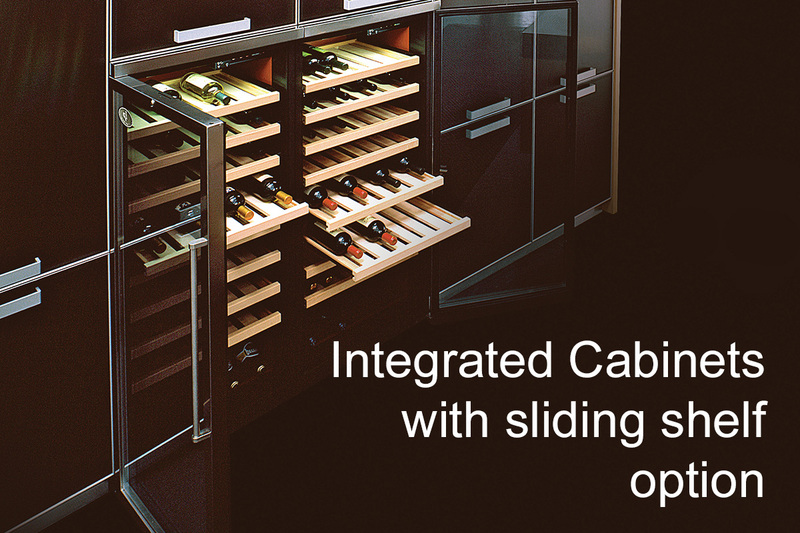 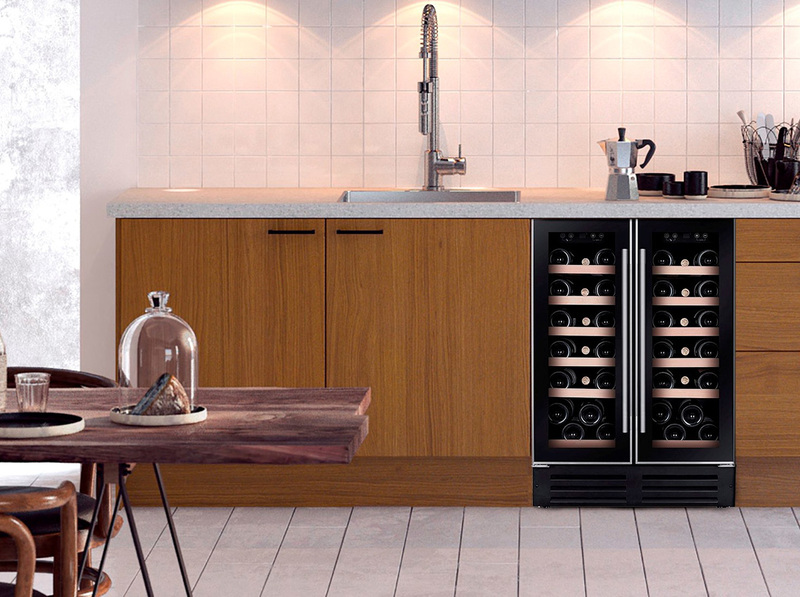 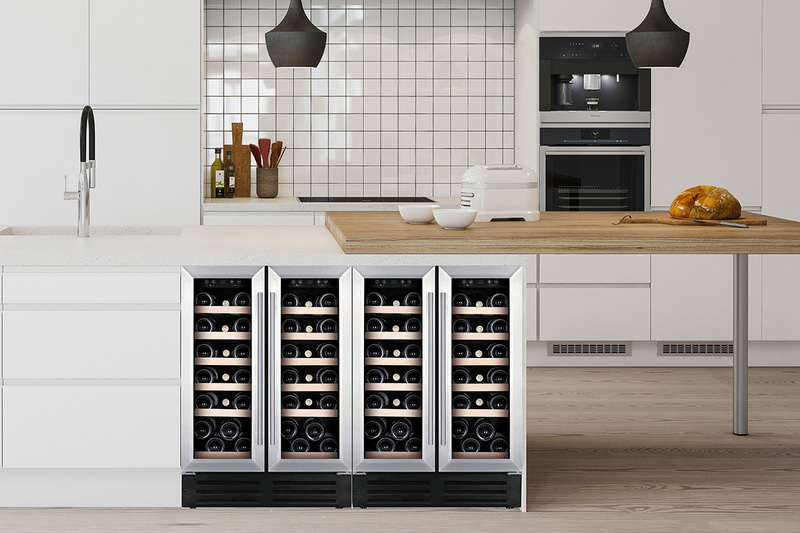 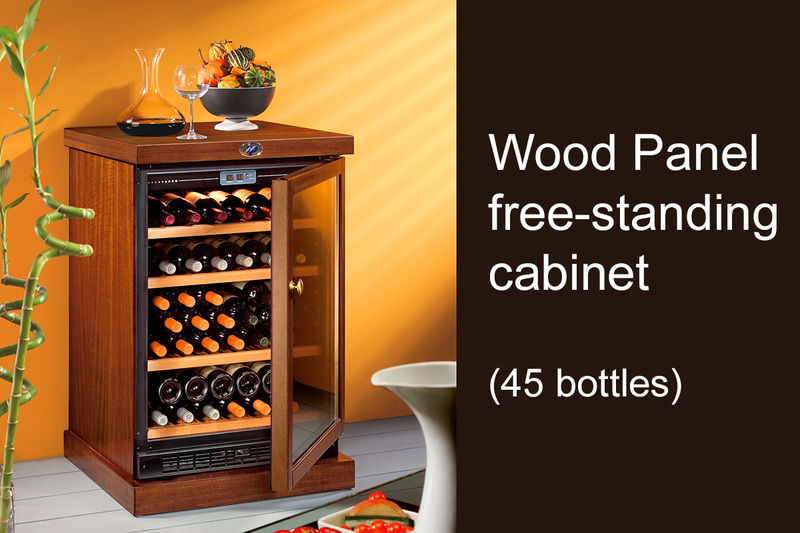 For your peace of mind, Wine Corner Ltd have researched cabinet manufacturers from across the world, only offering cabinets that are proven to give reliable and durable service. 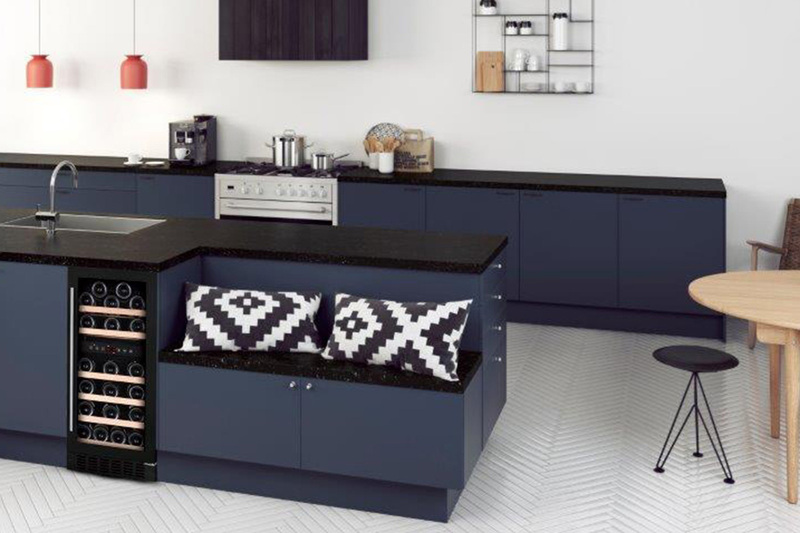 Different cabinets offer a range of shelving options and temperature control including Mono, Dual and Multi to suit your needs. When it comes to kitchen design, there are a number of integrated cabinets that also give you the option of attaching your own furniture panels. 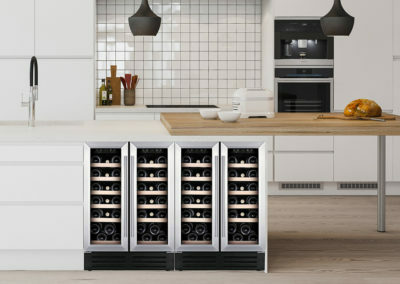 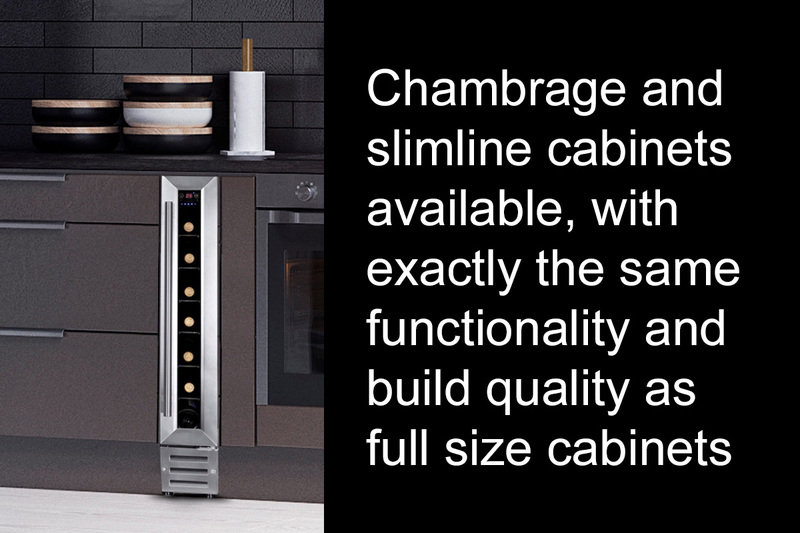 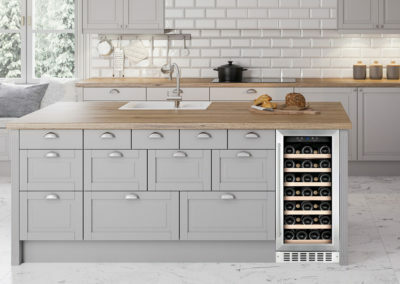 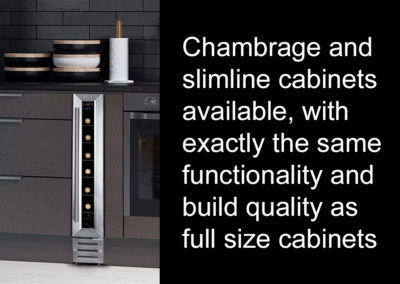 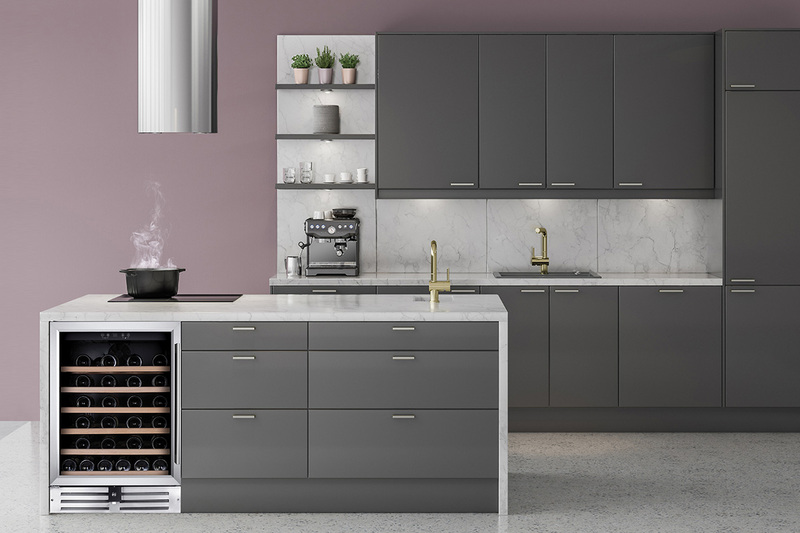 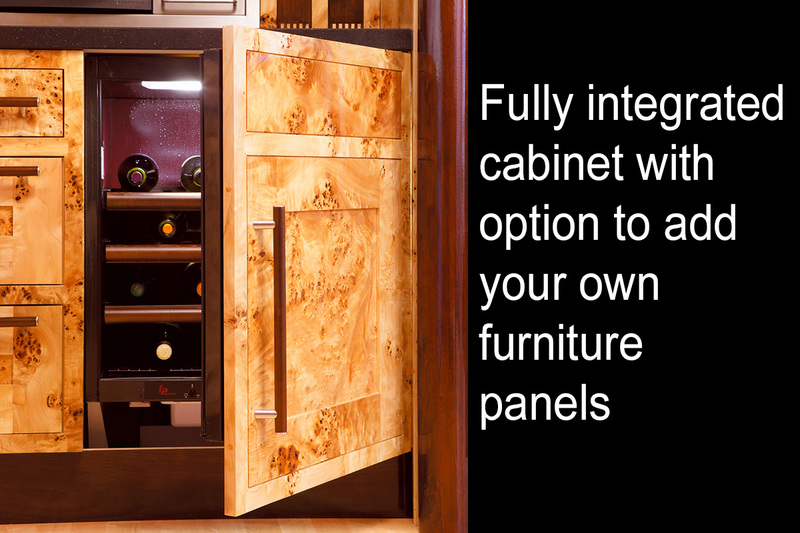 You will find details for finishes, shelving and temperature controls in the product details for each cabinet in the search results, however, if you need assistance to find your perfect cabinet, call the Wine Corner Team on 03333 702589 who will be happy to help. 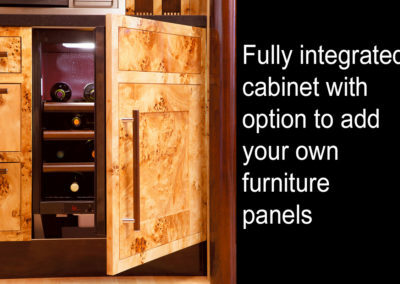 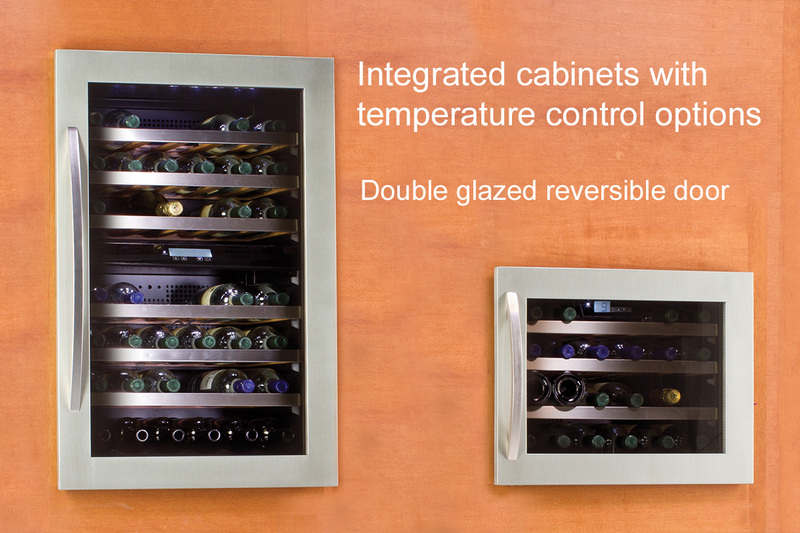 If preferred, you can also view our Wine Cabinet Brochures on the downloads page. 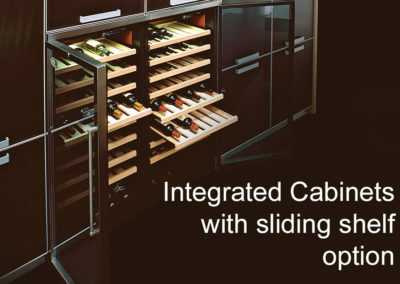 Please take a look at the gallery to see various installations from classic self-standing to fully-integrated.